With about half the summer left, I offer you a harvest of new adoption books that have recently become available. Here are some that have come into my mailbox or across my radar. Lorraine, known to many as one of the driving forces behind [Birth Mother] First Mother Forum, placed her daughter in the 1960s. This is Lorraine’s long-awaited sequel to her earlier work, Birthmark. I’ve just begun reading and I’m hooked. Likely you’ve run across Carrie at her highly esteemed column, Portrait of An Adoption. She noticed a dearth of adoption books for early chapter readers, and decided to fill it with this, the first in a series. Read my review. This anthology explores the “complexities of being adopted, embarking on search and reunion, fighting for equal access to identifying information, navigating complex family relationships with the latest technology, and surviving it all with a sense of humor.” I intend to read it. It’s getting great reviews. 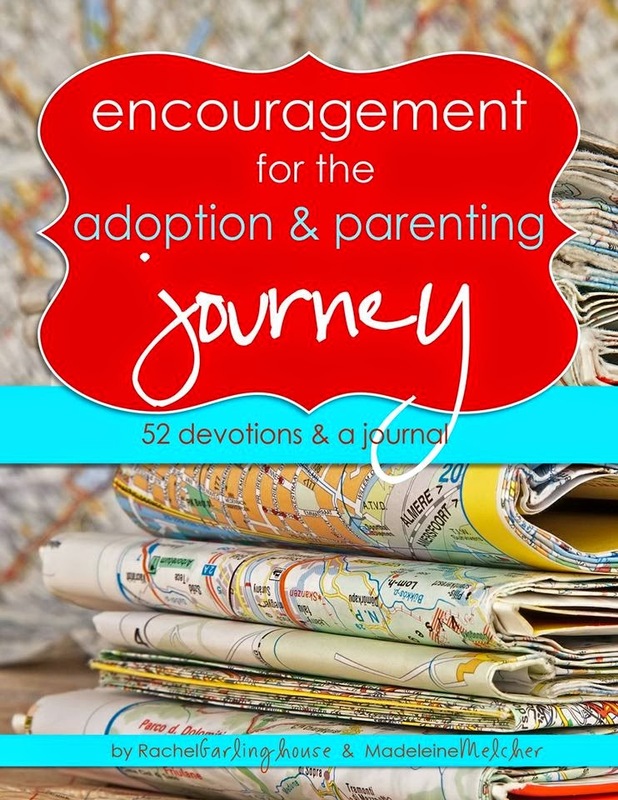 A bible-based devotional for adults who are adopting or have adopted, by two adoptive moms (one is also an adoptee). Southern fiction. Letters written by both birth mom and adoptive mom to the child they both love. Reviewers seem to like it. Read my review. 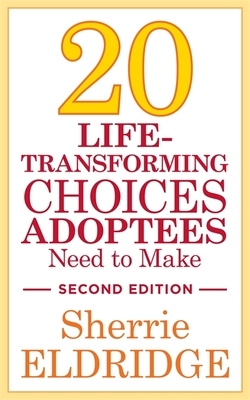 To enter the giveaway for Sherrie Eldridge’s 20 Life Transforming Choices Adoptees Need to Make (signed by author!) please leave a comment indicating you’re entering the drawing (not all commenters will be entering, so make sure I know you are, and make sure I can reach you by email). I’ll randomly pick a name next week and get the book on its way to its new owner. We are products of our times. What’s going on around us has has a huge effect on what goes on within us — the pressures we face, the opportunities we have, the decisions we ultimately make (or have made on our behalf). I’m realizing that this is especially true for birth mothers and the stories they’ve had to tell that span the last five decades. What brought me to this brilliant realization? 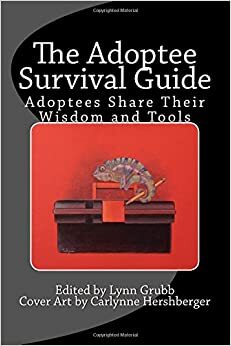 I was approached recently by an icon in Adoption World, Lee Campbell, PhD. Lee was a typical teenager of the 1960s who went on to become a mover of mountains in the 1970s. What happened in between? She tells all in her first memoir, Stow Away, but the short of it (really, you should read it — it’s excellent) is that she became pregnant unexpectedly as a teen, faced the pressures of her time and felt ambiguity about her “decision,” and moved on with her life as a dutiful and proper wife and mother. But despite her attempt to forget the fact that she’d borne a son (as women of that day were told to do), her memories would not stay away — instead they’d been stowed away and eventually would not be denied. In integrating her past of 1963 with her present of 1976, Lee worked through her grief, came up with a legal maneuver called Release of Protection, searched for and found her son (but did not yet reunite with him), connected with others affected by adoption, and ended up founding Concerned United Birthparents,. Lee explains here why CUB decided on the term “birthparent” — which has been controversial through the years. I just condensed a lot of juicy history into one short paragraph. I recommend getting the narrative and fleshing-out from Lee herself via her books. I’m currently reading Lee’s second memoir, Cast Off, which focuses more on how he got a start in her extraordinary adoption activism (I’m told she was an influencer of Jim Gritter). It’s a treat to get the insider’s view of reforming adoption from back in the early days. You can see how much Lee and her cohorts have contributed to the changing the culture that exists currently. When Lee approached me she suggested I watch this, an episode of Donahue from 1979. I found it fascinating so I shared the show via social media. I had already decided that I wanted to get to know Lee better, so I asked her for an interview. As the newly appointed curator of CUB’s History Project, she graciously agreed. The video I caught the eye of Kim Court, a woman who placed her son in the 1980s and was featured in a documentary that aired on Oxygen. Kim, struck by several commonalities between herself and Lee and transfixed by Lee’s memoirs, jumped at the chance to interview Lee with me. With a “the more the merrier” mindset, I also asked Monika Zimmerman, a woman who placed her daughter in the 2000s, if she would like to join us. The result is this Roundtable, which will publish here in two parts. Birth Mother Roundtable: Experiences Over the Last 50 Years. Please share the basics of your adoption story. Lee: In the spring of my junior year in high school, I became pregnant by my first love of several years during our “first time.” His mother denied his paternity, resulting in what was then a scandalous court case. I thought my devastation was complete but there was still more to come. My school kicked me out due to my pregnancy and my parents shipped me to a home for unwed mothers in another state — both cruel but “standard operating procedures” for 1962. After I delivered Michael, I begged my social worker for “permission” to see him in his foster home. Although she condescended to allow my visits, there was a cost. For payback, she kept shoving the surrender papers across her desk at me but I kept pushing them back, saying I couldn’t do it. As a middle-class young mother, I didn’t know about social assistance programs and my social worker did nothing to inform me. Meanwhile, as the eldest of five, my parents expressly told me their duty was to protect my younger siblings from the harm to their reputation my “situation” had caused them. After a debilitating year, including four months of visits with my son Michael that had been like pulling my social worker’s teeth, I remained without help and without hope for any help. I finally caved under the pressure. I surrendered. 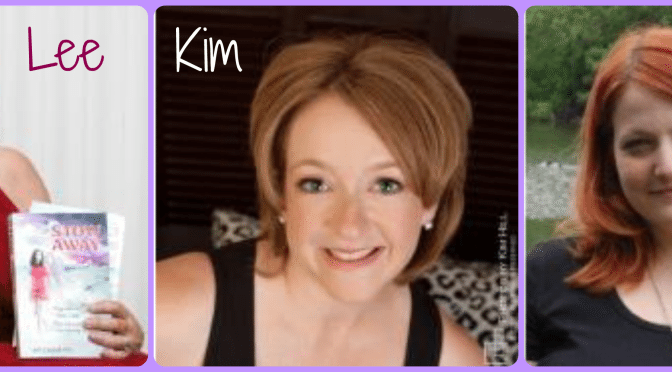 Kim: I became pregnant at 17 with my longtime boyfriend. It was our first time. I was a smart young high school senior, but an extremely naïve teenager: I concealed the pregnancy for five months. Just days after my high school graduation, my secret was finally discovered. It was a shock to both of our families and a dark cloud of shame and guilt fell over me. I had disrupted the “nobody-needs-to-know-our-business” image of perfection our family diligently presented. I felt horrible. It was agreed that I would travel across the country (literally from the east coast to the west coast) to live with relatives. I wasn’t forced, but I really didn’t have a say in the matter. My west coast family was warm and welcoming and didn’t look at me in the same disappointed way my parents did. Looking back, I can see that my parents’ disappointment was also mixed with sadness for what they knew I would go through. My mother accompanied me to the west coast to get me settled. Before she left, she found the number for Catholic Social Services in the yellow pages and encouraged me to call to speak with a counselor about adoption. That was early June; I didn’t call until mid-August. 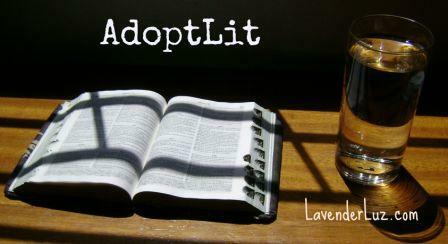 My views on adoption were based solely on what I could research at the local library. Unfortunately, in 1988, there were few books that presented anything other than a negative perspective on adoption. My social worker was a wonderful woman named Judy. Unlike other stories I’ve heard – including Lee’s heartbreaking experience – Judy did not coerce me or sway me in one direction or another. She talked with me, but more importantly, she listened to me. I met with her about five separate times before telling her that I was ready to consider placing my baby. Part of the reason I feel there was no heavy coercion is because I would be 18 when the baby was born. Legally, my parents would have no say over what I should or should not do. However, since the option of parenting my child was never a consideration, and my resources were limited, the decision was basically made for me. She brought me several photo albums prepared by prospective adoptive parents. I found one family that really resonated with me. I kept going back to their album, finally deciding that they were the family I wanted to raise my child. In early October, I gave birth to a very healthy 10lb little boy and placed him for adoption one week later. Monika: I didn’t know I was pregnant until the day I gave birth. With my daughter’s biological father in the military and deployed to Iraq, I was alone. I was 34 at the time of her birth, so I wasn’t a “typical” mother who surrenders her child. I was neither emotionally or financially prepared to have a child – in fact, I’d never wanted to bear my own children. Growing up, I could always see myself being a foster parent (and perhaps adopting from the foster care system), but never wanted any biological offspring. I also knew that if my daughter’s biological father and I stayed together that he’d most likely stay in the Army, and I knew that military spouses are single parents. I wanted my daughter to have at least two consistent authority figures in her life, so I chose to surrender. I was having seizures at the time of her birth (pre-eclampsia, not a seizure disorder) and the hospital social workers didn’t believe my choice, so they put her in state foster care and I had to go to a couple of court hearings to prove I was of sound mind surrounding my decision. On the second court date, nearly two months to the day after my daughter’s birth, my daughter was released to my custody, and that was the day I signed over legal parental rights to the state, who then turned over legal parental rights to my daughter’s adoptive parents. That was also the day I first met them in person, though we’d all individually expressed a desire for a phone conversation prior to surrender day. The agency definitely dropped the ball on that one. What were two things that needed to change systemically (not just your circumstance) from your era? Social workers should have been oriented toward helping new families stay together. Any disequilibrium caused by external circumstances should have been righted. Social workers should have presented options both verbally and in writing and provided help to exercise the options that were selected.. There was still such a stigma in the 1980s about becoming pregnant out of wedlock. Although the pendulum has swung a full 180 degrees since then with reality shows seemingly glamorizing teen pregnancy, I do believe that this stigma about what “everyone will think” put an enormous amount of pressure on me and others to atone for our sins and right our wrongs. My social worker was wonderful when it came to pre-birth counseling; however, she was in California and I returned to Massachusetts a few days following my son’s placement. Back home, there was no mention of any follow-up counseling. It was assumed I would go on with my life as planned. This was devastating for me, although I didn’t realize it at the time. The full effects of the pain of relinquishment wouldn’t show up until years later when I was married and parenting our two daughters. I cannot overemphasize how important I believe pre and post-placement counseling would have been for me. 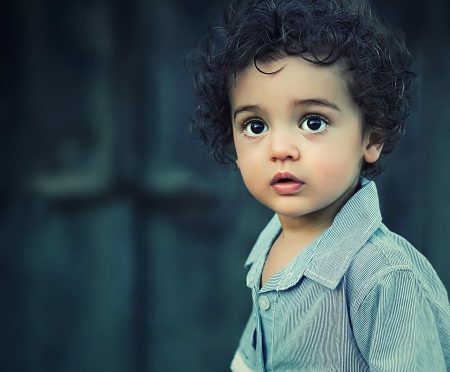 The biggest thing for me is that I believe the system needs to be oriented toward foster care and foster-to-adopt, and NOT private infant adoption. I think that needs to be the last thought in a couple’s mind as they consider adoption for their family. I’m not certain how to accomplish that. Greed is too prevalent. Though my personal experience was decent, I agree with Lee. There needs to be more support pre-birth for mothers who are wrestling with a decision about their babies, and not just a push toward surrendering. More to come…tune in for part 2, in which the ladies of this Roundtable will address progress made, wish lists for today, thoughts on open adoption, and looking forward and looking back. If you’re already hankering for more and can’t wait for my next post, see Claudia’s take on the Birth Mother Trajectory. 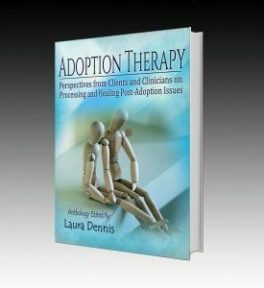 For those of you who have placed a child for adoption (or had one placed), how do these stories compare with your own? What would your answers be to these questions?